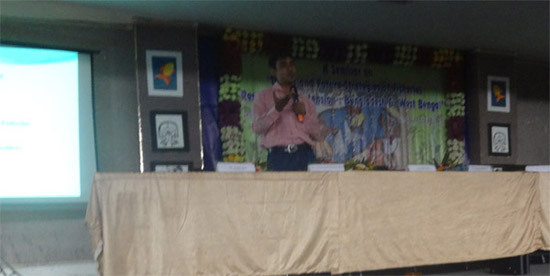 West Bengal Professional Fisheries Graduates’ Association (WBPFGA) organized a seminar on Trends and Future Strategies of Fisheries Research and Extension: Bangladesh and West Bengal at Faculty of Fishery Sciences (FFS) of the West Bengal University of Animal and Fishery Sciences (WBUAFS), Kolkata on 26 December 2015. 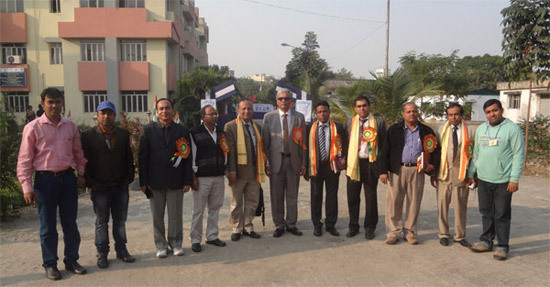 Honorable Vice-Chancellor, Prof. Purnendu Biswas of the WBUAFS inaugurated the seminar and Prof. Dr. Md. Akhtar Hossain of Department of Fisheries, University of Rajshahi (RU), Bangladesh was present in the seminar as Chief Guest. Shri Soumya Biswas, the Convener of the Paschim Bangla Rajya Sarkari Karmachari Fedaration; Prof. R.K. Trivedi, the President of PFGF of India; Shri Chandranath Roychowdhury, the Private Secretary to the honorable MIC of Fisheries of Government of West Bengal were also present in the program as Special Guests. Among the Guest of Honors, Shri Samir Kumar Das, the Sub-DIvisional Officer of Howrah; Dr. Gouranga Biswas, the Scientist at CIBA of Kakdweep Center of West Bengal; Prof. Dr. Md. Ishtiaqe Hossain, Associate Profs. Dr. Md. Abdus Samad and Dr. Md. Mostafizur Rahman Mondol of Department of Fisheries from RU were also present in the event. The inaugural session of the seminar was presided over by the Dean of FFS of WBUAFS, Prof. Bipul Kumar Das. 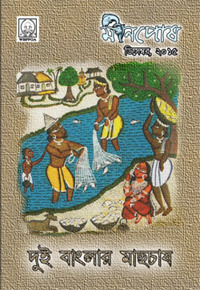 A magazine (focused on the activities on aquaculture and fisheries aspects of Bangladesh and West Bengal) was also unveiled by the dignitaries. In the technical session of the seminar, Prof. Akhtar Hossain gave a presentation on Aquaculture in Bangladesh where he effectively and nicely highlighted the past, present and future trends of aquaculture in Bangladesh. While delivering two other presentations, Dr. Abdus Samad and Dr. Mostafizur Rahman Mondol from RU focused on Present Status of Fisheries Research in Bangladesh and Hilsa Conservation in Bangladesh respectively. Dr. Narayan Bag gave a nice presentation on Trends and strategies of fisheries and aquaculture in West Bengal. 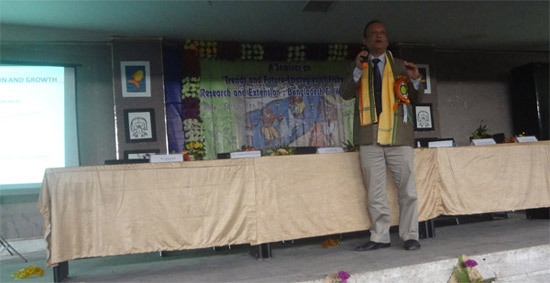 Dr. Gouranga Biswas presented his speech on Fisheries research and extension in West Bengal in the seminar. Being invited by the WBPFGA a team of four academic staff of the Department of Fisheries, RU led by Prof. Dr. Md. Akhtar Hossain attended this seminar. In a personal interview, the team leader thanked the local organizing committee for holding such an effective program and also for remarkable hospitality. He wished that this trend of collaborative event would continue in future. Visited 828 times, 1 visits today | Have any fisheries relevant question?